The ATEMS Robotics Team is a student-led organization at the Academy of Technology, Engineering, Math, and Science. ATEMS is a TEA designated T-STEM Academy. Our team is the only AISD funded robotics team. We accept students of all grades and skill levels. Our goal is to aid students in applying STEM concepts and the Engineering process to robotics. Every year, our team recruits over 50 students who dedicate several hours of their week to robotics. During the school year, we are constantly preparing for our competitions. 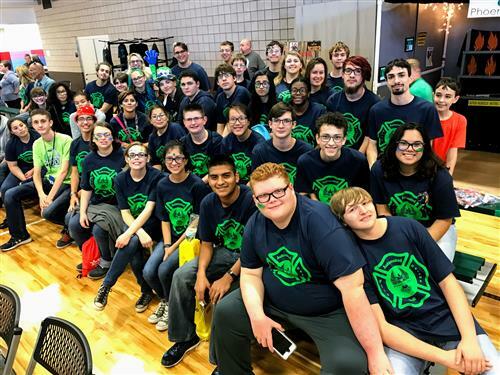 On Saturday, October 21st, the ATEMS Robotics team took 40 students to TSTC Sweetwater to compete at the Big Country BEST Robotics Competition. 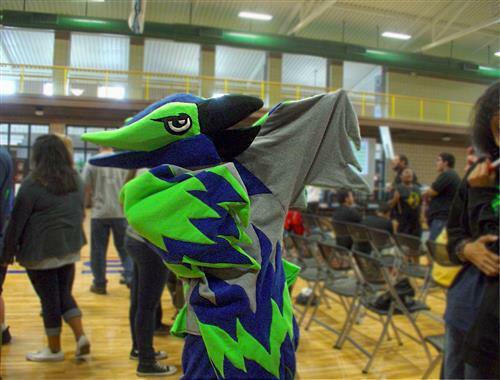 The BEST Robotics Competition is about much more than building a robot. Students work for six weeks to create a company with marketing, engineering notebook, programming, and build divisions. Students create a brand promise for their company and conduct a ‘Shark Tank’ style marketing presentation. Students also build an exhibit booth, marketing their brand and product to the general public. Students must document all progress in the engineering notebook, using the engineering design process. Finally, students must build a robot out of PVC pipe, aluminum sheets, plywood, motors, and other required material. Once the robot is built, the programming division must program the robot from scratch. This performance qualified the team for the 2017 Texas BEST and UIL State Championship. 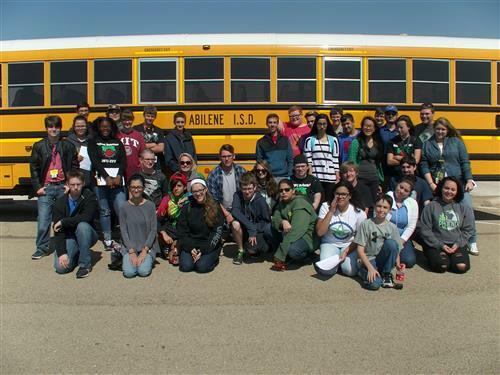 ATEMS Robotics will take 19 students to Frisco, TX on December 7-8. Students will demonstrate their marketing and exhibit skills at UT-Dallas. The robot exhibition and spirit and sportsmanship contest will be at Dr. Pepper Arena.